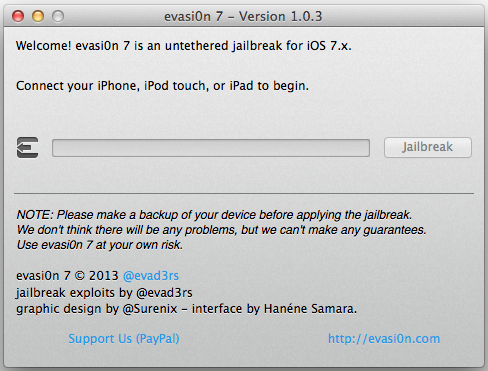 The evad3rs have just released a new version of their jailbreak tool – evasi0n7 1.0.4, which is expected to bring numerous security improvements to the iOS 7 jailbreak. 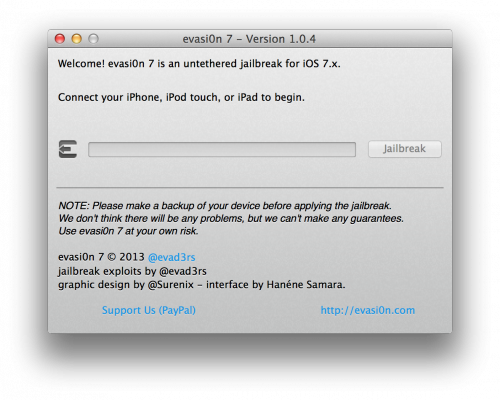 evasi0n7 updated to 1.0.4 at http://evasi0n.com with important untether security fixes & (we hope) no more iPad mini Retina JB issues! In order to keep your iOS devices secured, it is recommended that you use the latest version of the tool for untethered jailbreak. One can download evasi0n7 1.0.4 here. Today Adobe has announced a new Photoshop application for the devices based on iOS while giving a new image to its previous limited functional application Photoshop.com Mobile for the Apple iPhone. Now it has got a new name Adobe Photoshop Express. Here you’ll find a great number of new features for the iPad sporting the larger screen space, support for the device and improved user interface (UI). Does it have pros and cons? Yes! There is no support for the Retina Display of the new iPhone 4. It is quite disappointing for many users.